loss of spirit which is drained by the battles of daily living . Our caring service makes it possible for the elderly to maintain as much independence as possible, by providing the appropriate in home assistance and companionship. 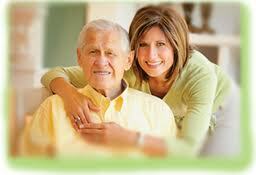 In that way we lift spirits not only of the elderly, but of the family caregivers as well. At Home Loving Care was founded to provide caring assistance for the senior in need and help relieve stress brought on family caregivers. Our affiliation with The Senior's Choice, a national leader in senior care, allows us to share resources and continually improve our services.